Sustainable Agriculture Research & Education - SARE. I typically hear the acronym followed by the word "grant". If you're into sustainable agriculture, take advantage of what SARE has to offer. There are a few opportunities coming up - including a webinar tomorrow (!) on their Farmer Rancher grant. Also, there are a ton of great resources available in print and online, more below! To sign up to receive this newsletter as an email, fill out this form. The SARE Farmer Rancher Grant program is accepting proposals until December 8th, 2016. To that end, on Tuesday, November 1st, from 6-8 pm SARE Farmer Rancher Grant coordinator Joan Benjamin and MN SARE Coordinators Wayne Martin and Kate will provide an overview of the SARE Farmer Rancher grant program and answer any questions you may have. The meeting link can be found here. For planning purposes we ask that you register for this webinar. Please contact Kate Seager, kseager@umn.edu or Wayne Martin, marti067@umn.edu with any questions. If you're in the Twin Cities area, you can join in person - though there is limited space available, contact Kate or Wayne if interested. North Central SARE has a great library of videos highlighting grant project results on YouTube. Visit their channel for info on cover crops, grass fed beef, mushrooms, marketing, and much more. Here's a video on reduced tillage systems for organic vegetable producers. Travel Scholarships (up to $500) are intended to assist ag professionals and farmers explore topics in sustainable agriculture that are new to them. The goal is then for that individual to share the new information with others via outreach events, presentations, articles, etc. Mini Grants (up to $2000) provide support for organized programs such as field days, farm tours, workshops, etc. 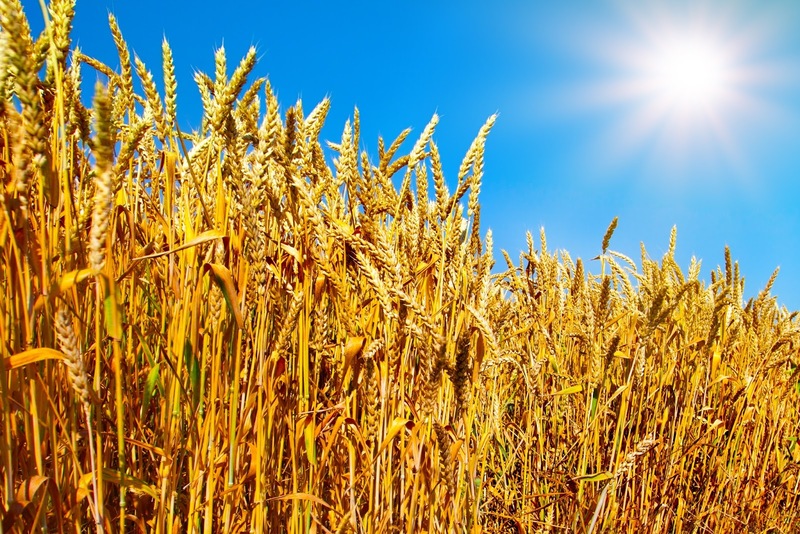 Mini Grants may also be used to help fund on-farm research trials or demonstration plots as long as there is an associated outreach component. Applications are accepted three times per year, in January, May, and October. For further information about the Mini Grants and Travel Scholarships, or to apply, contact Kate Seager (612.625.8235, kseager@umn.edu), Wayne Martin (612-625-6224, marti0067@umn.edu), or visit the Minnesota SARE website. In addition to grants, SARE has a ton of excellent resources, mostly free publications available on the web, as well as printed books and other materials. 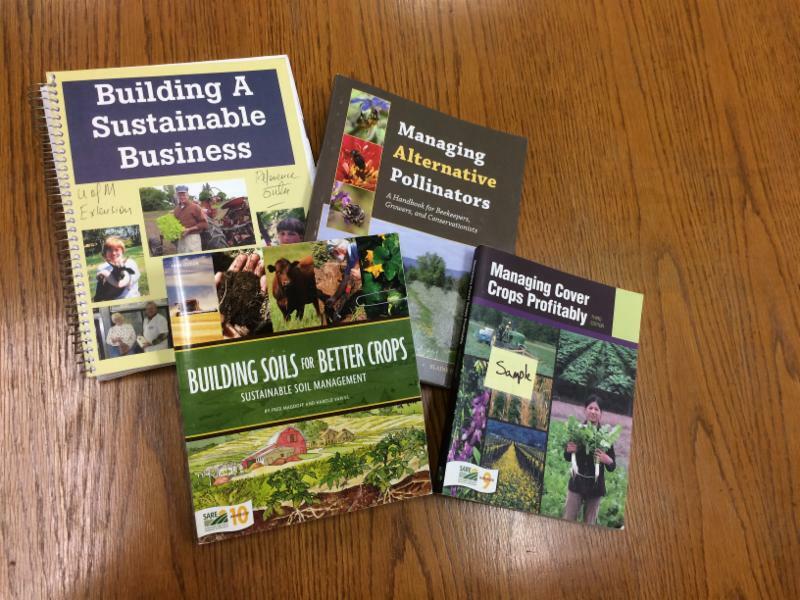 On my shelf you can find "Building soils for better crops", "Managing cover crops profitably", "Building a sustainable business", and "Managing alternative pollinators". On their website, take a look at their Learning Center for resources.